Happy November everyone (I’m just a few days late, I know)! And what a happy month it is. I woke up to an email from Songkick telling me that the cryptic band The Reflektors would be playing a show here in Berlin just two weeks from now. 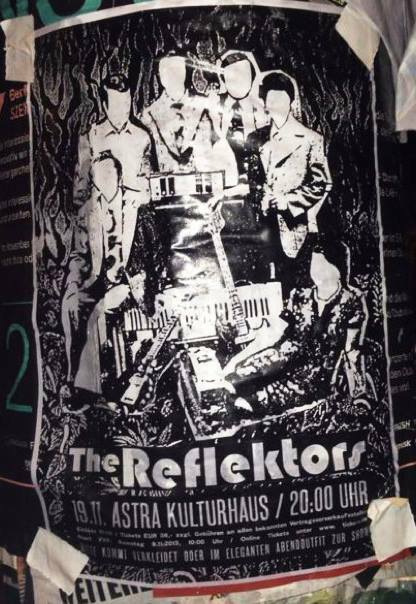 For those who aren’t aware, The Reflektors is the moniker that Arcade Fire has been using for a number of impromptu shows that have kept the music world on its nimble little toes. Of course, I did some sleuthing and found out that, according to the Greatest Berlin blog, along with this announcement comes a mysterious poster referencing the show that has shown up amidst the usual mess of posters at Warschauer Brücke. Going off of their other recent surprise shows in NYC and Miami, and the fact that Rolling Stone has also reported on the show, I’m led to believe that it couldn’t be anything but true. But maybe I’m just a naive optimist.